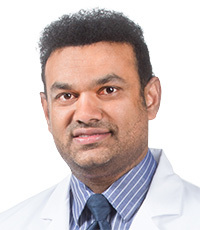 A native of Shreveport, Dr. Noles graduated from Captain Shreve High School in 1991 and from Baylor University in 1995 and returned home for medical school at LSU Health Sciences Center – Shreveport, earning his medical degree in 1999. Dr. Noles completed his residency in Anesthesiology at Parkland Memorial Hospital in Dallas which was, at that time, the largest anesthesia residency program in the United States. 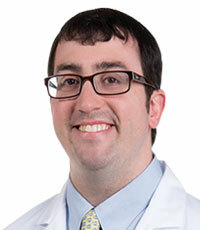 While there, he was voted by his peers to the prestigious position of Chief Resident during his final year of residency. Because his father also trained in anesthesiology at UT-Southwestern, Dr. Noles became the first legacy graduate of the program. 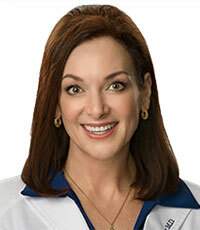 Dr. Noles practiced anesthesia for eight years at WK Pierremont Health Center with Pierremont Anesthesia Consultants. During this time, his practice was recognized by the community as leaders in bringing innovative postoperative pain treatments to their surgery patients. His interest in chronic pain management was born from his experience treating surgical patients on the Acute Pain Service at WK Pierremont. During his time as an anesthesiologist, he held multiple leadership positions with the Willis-Knighton Medical Staff and also on the Board of Directors of the Shreveport Medical Society. 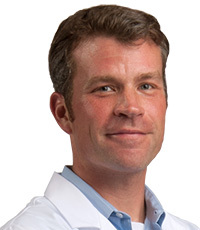 Dr. Noles was awarded a fellowship in Chronic Pain Medicine at Duke University Medical Center in Durham, N. C., in 2013 which gave him the opportunity to study at of the top anesthesiology departments in the world. While there he was trained to perform state of the art procedures for unusual and difficult painful conditions. During his time at Duke, he worked at Duke University Medical Center, Duke Cancer Center, and the Durham VA Hospital. He developed a special interest in treating cancer pain as well as treating military veterans with chronic pain syndromes. Both interventional and noninterventional therapies are available from Dr. Noles for conditions, such as low back pain, neck pain, cancer pain, chronic regional pain syndrome (CRPS), facial pain, headaches, phantom limb pain, diabetic peripheral neuropathy, spinal stenosis, degenerative disc disease, sciatica, trigeminal neuralgia, whiplash injury, and others. Among the treatments he offers are cervical epidural steroid injection, lumbar epidural steroid injection, adhesiolysis, botox injections for migraine headaches, BOTOX® injections for cervical dystonia, caudal steroid injection, celiac plexus block, continuous catheter nerve blocks, facet injections, ganglion impar block, intrathecal pump implants, kyphoplasty, medial branch blocks, occipital nerve block, peripheral nerve stimulation, radiofrequency ablation, sacroiliac joint injections, selective nerve root block, spinal cord stimulator implants, sphenopalatine ganglion block, stellate ganglion block, superior hypogastric plexus block, and sympathetic block. As a qualified pain specialist, Dr. Noles recognizes that it is important to treat every patient as an individual, understanding that patients do not all respond the same to pain therapies and medication techniques. Dr. Noles and his family reside in Shreveport. 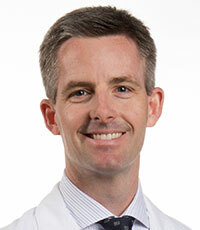 In his spare time, Dr. Noles enjoys running, reading, and spending time with his wife and two daughters.